We had a little chuckle last night. After the concert on Tuesday, we ended up getting home and in bed by 2:00 AM. We ended up getting only four and a half hours of sleep which at our ages isn't quite enough. By 6:30 PM our butts were dragging a little. We're watching Hell's Kitchen on the DVR and the Wife has the power (i.e. the remote). We hit a commercial and she fast forwards. Before you know it we're fast forwarding through the show. I turn my head and ask: "What are you doing?" Turns out the Wife had fallen asleep mid-fast forward. Heh. That's a new one for me. Yesterday afternoon things took an unexpected and wonderful turn. There was this band that we'd wanted to go see but they were not touring (as far as we knew) and we didn't know when they would. Last week, our friend the "J" told us that her sources had told her that the band would be giving a show in a small, intimate venue, the Roxy Theatre on Sunset, in Hollywood. After some investigation we discovered that the tickets would only be sold on the day of the gig and you had to be there in person to get the tickets. While this would not be a problem for me, the Wife could not take time off work so close to finals. The "J's" source could get two tickets, but not three. Our hopes were dashed. That changed at about 4:45 PM on Tuesday. The phone rang, it was the "J", and her source came through with another ticket. WOO HOO! Who were we so excited to go see? 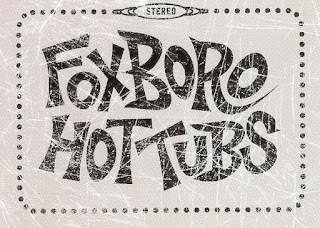 The Foxboro Hot Tubs. Some of you may be cool and know who they are, or you may be like me and, have no idea who they were. 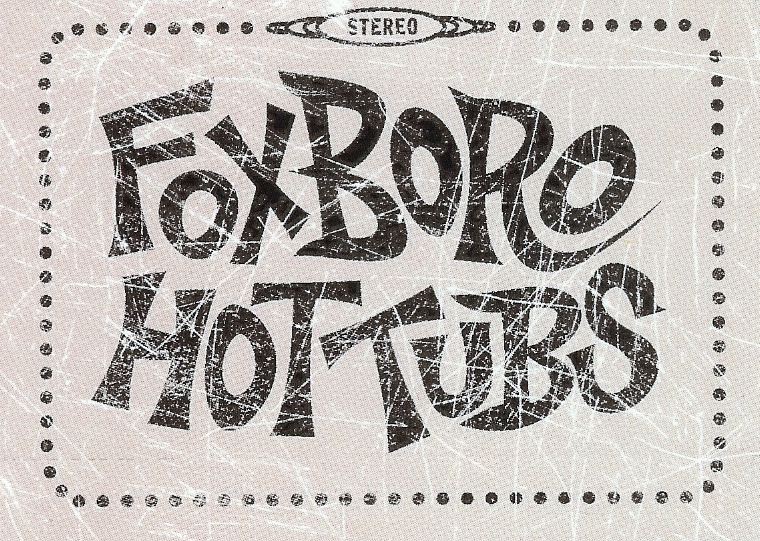 The Foxboro Hot Tubs is actually an alternate name for a more well known band. You may know them as Green Day. It's a little hard to believe but the Wife and I actually thought about turning down the tickets. It was a little short notice, it was a school night, and I was tired. Fortunately we decided to go for it. We scarfed down dinner and the Wife got some school work done before we made the hour long drive down the the Roxy. We got to the Roxy and went in. As we were getting wrist straps put on, some strange lady look at me. You could tell from the look in her eyes that she expected I'd recognize her. I had no idea who she was and I just moved on. I saw the "J" sitting in the VIP section. The lady in charge of the VIP area was letting us sit there but we would have to move later. I definitely wouldn't want to argue with her. She was dressed in black with large safety pins, skull-n-crossbones dammits in her hair, and enough metal on her fingers to give a knockout blow to Tyson. The table she sat us at was reserved for ... Billie Joe Armstrong, lead singer of the Hot Tubs/Green Day. The Wife then let us know that a new milestone had been reached in her life: She'd farted on Billie Joe Armstrong's reserved seat. The greatness of the event was second only to blowing chunks on Warren Buffet's front yard. We sat talking in load voices over the loud pre-concert music, which, by the way, was pretty good. The "J's" source, her brother who works as a sound engineer for Green Day along with doing the video and photography for some of their shows, stopped by and introductions and thank yous were exchanged. He seems like a cool guy. The strange lady came back and gave me that knowing look again but I still didn't recognize her. Never did find out what was up with that. Soon after, the first band came out on stage. The Roxy is an intimate venue. I would guess the farthest you could get from the stage was about 40 feet. We were probably never more then 20 feet from it most of the night. The first band, an all girl band, was Girls With Guns. Can't say I enjoyed them. The only thing worse then music sung by their drunk lead was when the drunk lead tried to talk to the audience between songs. She even suggested that they would sound better once the audience was drunk. The crowd didn't agree. They did a half hour's worth of music before they left to the delight of the crowd. After Girls With Guns left the stage, we left the VIP section and joined the standing mass in front of the stage. That's when the Wife discovered a disadvantage of her stature. She could see over most of the crowd but, when you try to look over people your head tends to tip back. When her head tipped back, her bifocals would kick in and she still couldn't see the stage. Height, and good eyes, do have advantages. The next band was the Mystic Knights Of The Cobra (Link is NSFW! and may offend many. You should at least turn OFF the sound - You have been warned) . They were awesome. The melodies were catchy but the lyrics ... raunchy as all get out. The band is large - I counted at least 10 members on stage at any one time. It seemed that the group got bigger with each song played. We especially liked "El Camino" and "I Am Batman". I'm tempted to buy their CD but I could never play it in public. After their set we saw one of the guys (Big, fat, sweaty) and told him he was great. He gave the Wife a big sloppy hug. I think she was a little disgusted with the sweaty sliminess of the hug. After the Cobras it was time for the big show. The Foxboro Hot Tubs got on stage and totally ROCKED! People were continuously rushing the stage at Billie Joe's request. The band and audience were stage diving. This was great until so many people were on stage that there wasn't anyone to catch the stage divers. A couple dorks hit the floor pretty hard. It was fascinating watching the bouncers pushing people off the stage. The crowd were dancing, jockeying for position, and, at times, fighting. We were close enough to the stage that we were sprayed with beer that Billie Joe threw out over the crowd. Have you ever noticed that in the crowd there's always some dude in a ball cap and jacket who looks like a serial killer looking for his next victim? There were two in this small crowd. One was wearing a backpack - The Wife and the "J" called him the "Boy Scout". I always wonder what's in the backpack and why they would let someone in with a backpack in the first place. The security people would not let them up on stage - I don't blame them. It was a totally awesome evening. The "J" even hooked us up with free T-Shirts. That "J", what's not to love. She really came through. We left the Roxy pretty much deaf. I woke up this morning and I swear my right ear is numb. Awesome! Thank you "J" for everything. Sunday was a day of recovery after our moving sale. what better way to relax then having my blog friend GeekHiker drive up for some lunch and a movie. GeekHiker (GH) arrived a little late but had a good reason to be. He was having issues with his neighbors. The Wife had school work to catch up on so she bowed out of lunch and the movie. GH and I went to Pirates for some lunch. Pirates usually has good food but for some reason the food was not that great on Sunday. My chicken sandwich was soggy and the fries were limp. I was a little disappointed. I guess the Sunday lunch crew are not as good at the week day dinner staff. After some good conversation over mediocre food, we headed to the movie theater for an afternoon showing of Indiana Jones and the Kingdom of the Crystal Skull. I have liked most of the Indiana Jones movies but none have been as good as the first - Raider of the Lost Ark. The latest chapter just didn't do much for me. It was entertaining but there was nothing special. The thing that irritated me the most was the Sci-Fi direction that the movie took. The other three Indiana Jones movies revolved around mysterious religious artifacts - The Ark of the Covenant, the Holy Grail, and sacred Hindu stones. This one ... well, there was some religious themes, but the secret behind everything was more scientific than mystic. It just didn't feel like it belonged with the other three movies. As I've gotten older, I have also become pickier. The sound of thunder and the sound of an approaching storm when they are in the Nazca Plain just was wrong. The Nazca Plain is on the northern edge of the Atacama Desert - one of the dries places in the world. Other things just felt wrong or were retreads of scenes from other movies (Tarzan, Return of the Jedi). I was expecting better. After the movie, GH and I talked outside the theater for another hour or so before we parted ways. The food and the movie were ... just OK. But the day was saved by the conversation I had with GH. The conversation covered too many things to list. I think we were trying to fit stuff in since this would probably be the last chance we have to talk in person once I move out of state. Of course, GH is alway welcome to stop by in Omaha. Our guest room will be ready. Where Are These Guys When You Need Them? It's Saturday evening and it's time to update everyone on the happenings of the past few days. Thursday evening was our pot party. In three words: Not Very Successful. We only had three people show up. It wasn't a total failure as we got rid of quite a few plants. Friday was moving/garage sale preparation day. The Wife and I both dreaded this day. We especially didn't look forward to moving all the furniture out to the garage. At one point we even contemplated hiring some burly men to move the stuff for us. Turns out we were worrying for nothing. It took us just over an hour to get everything out to the garage. My estimates of which items would be the hardest to move was completely wrong. I expected our 36" Tube television would be the worst but that turned out to be relatively easy. The entertainment armoire that held the TV was by far the hardest. I thought that would be one of the easiest. I was wrong again. After an hour rest, we went back into the garage and sorted things into different price ranges (25¢, $1, $2 and over). I'm guessing we had at least 200 25¢ and $1 items alone. After sorting, we rested for another hour or so before we went back out to the garage one more time to actually tag all the items. It turns out it took less time then we expected. The Wife said she thought we still be preparing well into the night but we were finished before 4:00 PM. Saturday we got up at 5:15 AM to get everything in place. We weren't officially opening shop until 8:00 AM but people were pulling up at 6:00 AM as we were still putting things out on the driveway. The first big items to sell were our 10 year old washer and dryer. The guy who bought these returned 15 minutes later and bought the TV. A good start. The "J" stopped by to help with the sale. As usual, she was pretty handy.. Thanks "J"! The next six hours were full of starts and stops. People seemed to come in waves. Unfortunately the rain also came in waves. Yes. You read me right. Rain. It never rains Memorial Day weekend in Southern California. Well, almost never. This year the weather decided to be freaky so three times we had to cover everything in plastic to protect it from the rain. This may have slowed some of the foot traffic but we did pretty well, nevertheless. The last thing to go was our Bedroom set. We did have a hit on our dining room set but they were supposed to get back to us by 5:00 PM and they haven't called or come by yet. Bummer. So, what was the final tally you ask? $980 profit. Not bad at all. We didn't sell everything of course but that will be solved by a trip or two to the Salvation Army and/or Goodwill. If the dining room set doesn't sell, it will be donated as well. The house is starting to feel weird. Half the furniture is gone. We are now watching TV on a 20" piece of ... junk instead of our 36" beauty. Our bedroom has clothes piled on the ground as there are no dressers anymore. We have about two more weeks in the house. The next step in our big move is donating all our leftovers to charity and trashing everything not worth donating. After that, the movers come in and pack our stuff, load the truck, and away we go. We'll be in Omaha before you know it. We're having a pot party tonight. I wish I could have seen the faces when the Wife announced this to her friends. It's actually quite benign. Nowadays when you hear the simple word "pot", it just doesn't mean what it used to. Many eyes bugged out. We have house plants and potted plants out in the garden. Since we don't want to move them, and we like many of the pots they are in, we're having a pot party. Our friends are dropping by with their own pots and we will transplant our plants. Of course, beer, chips, and dip are also involved. We may even get some help moving some of our sale furniture out to the garage. Psst ... I'm Having A Sale. Don't Tell Anyone. OK, I am brilliant. I go to the Ventura County Star (VCS) website and type up the Moving Sale announcement for the paper. I check it over several times and I'm happy with it so I submit it. Thirty minutes later I receive a phone call from VCS asking me if I would like to put the address for the sale in the announcement ... I.am.such.an.idiot. I forgot to put our address in the announcement. How stupid is that. No, our sale is a secret sale. You have to know the secret password. HA! Sometimes I wonder if I'll survive this move. Since semi-retiring and exiting the workforce, my farts do not smell. Today, after a morning of clutter sorting (what goes to Nebraska, what gets sold, and what gets trashed), the Wife and I went to the Rubicon Theater in Ventura to see a play. The play was based on a story by one of the Wife's favorite authors, Willa Cather. When the Wife taught in Omaha before we got married, she used to take her students to Willa Cather's childhood home, and the setting of many of her books, Red Cloud, NE. I am sure we will end up there again on one of our roadtrips. The play, based on the book "My Ántonia",was pretty good. This was my firsts, non-school play. I wasn't sure that I would like it. Not exactly my cup of tea but, the two and a half hour, three act play went by quickly and the story held my attention. The Wife said it followed the book fairly closely. There were a few tears in the audience at the end. We found it funny when, during a scene taking place on a train, the conductor came on stage and said: "Next stop Omaha. Next stop Omaha." After the play we went downtown to visit B. on Main, the Wife's favorite store. We didn't buy anything but we did see a very nice painting that might have looked good over the fireplace in our new home but, since we didn't have any actual measurements, we weren't sure it would fit so we didn't buy it. After shopping, we ate dinner at Tutti's Off Main finishing the day off with a good meal and a Chocolate Chocolate Tort. It was a nice day. I started the day in a blah mood and getting out of the house was good for me. Tomorrow, more clutter sorting. I have found something more aggravating than being at an open house and listening to people make comments about your home. It's being in your home as the inspector goes through your house looking for problems. I was paranoid there was deal-breaker hidden somewhere that we didn't know about. As he left, the inspector told our realtor that there wasn't anything major. The buyer seemed happy. Phew! I am slowly starting to get ready for the move. I'm having trouble getting started even though the moving/garage sale is Memorial Day Weekend. I spent most of today shredding old documents. While I'm not the only person who has that pack rat problem, I have a thing about throwing away documents. Over the last couple months I have gone through my records and shredded. Fourteen (14) bags full of little bitty pieces of paper. Investment records from the early 90s. Pay stubs going all the way back to 1987 (!) including my very first one. Health insurance claims from the 90s. Crap ... all crap. As I shredded it though, I had this weird feeling that I was destroying twenty years of my life. Was that all I was for the past twenty years? Manila envelopes full of pay stubs and insurance policies? My only consolation was that my trail went down with a fight. My shredder, supposedly capable of chewing through ten pages at a time, hardly could handle more then four and overheated after only fifteen minutes of constant paper feeding. 15 minutes grinding ... 20 minutes cooling off. 43% uptime is pretty pathetic. I guess I should be proud of the toughness of my history. Then again, it was only paper. I called my Mom. Did you? Well, I did it. I completed the series of hikes that I've been working on since February 2007. Thursday I did my most difficult hike: I hiked up to Topa Topa Ridge. Topa Topa Ridge is a very recognizable landmark in this area. The ridge has distinctive multi-colored strata. 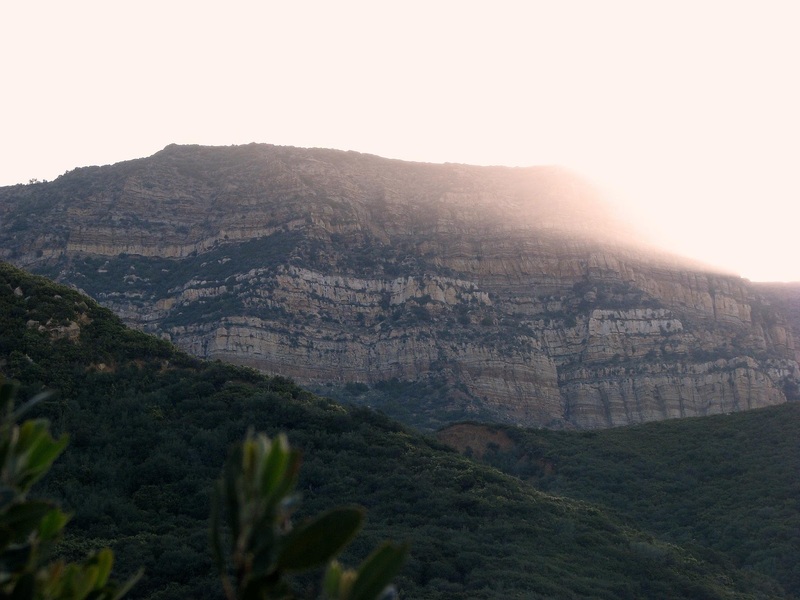 Topa Topa often turns pink from the light of the setting sun, a phenomena refered to as the 'Pink Moment' in Ojai. In the winter there is often snow on Topa Topa which enhances it's beauty. It has been a goal of mine to climb it. On Thursday I reached my goal. I got up really early (4:15 AM) and left at 4:45 AM. This got me at the trailhead at 5:30 AM. I'd picked this time because there should have been enough light to see the trail. I hadn't taken the low clouds into account and it was darker than I expected. Fortunately, by the time I gathered my gear together, my eyes had adjusted and I could see everything clear enough so I headed out. The first part of this hike follows Sisar Canyon road. The road follows a creek for awhile, crossing it twice before switchbacking up the ridge. The road is lined by thick forest and there was a lot of water flowing in the creek. It was early enough that I hoped to see some animals like coyotes or deer but I didn't see anything larger than a snake. Didn't even hear a howl. Bummer. At one point along the road I stopped and rested. I looked to my right and saw a hollow tree and thought that would be a good place for a geocache. I walked over, looked in, and found "TroopSisar". This is the second time I've done this - weird. About a half hour after I started, the sun rose just to the right of the ridge. It was awesome. The road climbs until, at the 3 mile point, I reached a gate. From here I split from the road and follow marked trail, 21W08. The trail is more to my liking: A narrow trail lined with trees and wildflowers. The trail climbs steadily until you reach White Ledge Campground about one mile from the junction. The sign at the junction says a half mile but it's wrong. At the campground I crossed the creek one more time before the trail really started climbing in earnest. Up it climbs. Up. Up. Up some more. The trail switchbacks up the ridge. The higher I climbed, the shorter the trees. The tall trees become short shrubs and small manzanita trees. I like manzanitas but they are so short that shade is non-existent. At 5.8 miles I reached Nordhoff Ridge road. I've been on this road three times before - once on the way to Chief Peak and twice to Nordhoff Peak. From here I turned right. Just around the corner is a picnic table and a fire pit which is a good place to rest as the next part of the hike climbs over 1,000 feet in just over a half mile. There are two ways form here to get to the top. The first is a short, fast, and grueling elevator. The other is a longer, slower, and leisurely walk. My plan was to go up the hard way and come down the leisurely way. There is a trail marker pointing the way up the hard way so it's easy to find. The trail immediately becomes steep. As it goes up the switchbacks become shorter and steeper. Then, to make the slog more enjoyable, the biting flies started swarming. I was probably spending more time swatting at buzzing things than I was walking. I sat on a rock to rest and couldn't because of all the bugs biting and buzzing around my head. Then I had an idea. I dug through my fanny pack and pulled out the mesh drawstring bag that I used to carry trash. I took off my hat, put the bag over my head, and put my hat back on. I'm sure I looked pretty special. Before you ask, here is a picture - The topa topa bandit. It might have looked stupid but it kept the bugs out of my ears, nostrils, and mouth. I picked up the orange rinds that had blown all over the place and I finished my lunch. I laid down on the bench to rest in the sun. The warm sun and the breeze kept some of the bugs at bay. It was very pleasant. I decided to look for the cache again. It turned out that "Vinny's Topa Topa Cache" was literally under the rock my head was resting on when I was laying down. On the top I saw my first fossil out in the wild and a stone cross someone had built. I called home on the cell phone and left a message letting the Wife know that I'd made it. I grabbed my gear and started off in the direction I thought the longer but easier descent was. Along the way I saw the damage from the Day Fire. It was nice to see the green at the bases of all the burned out trees. Unfortunately my choice of direction was wrong. After walking a bit I realized that was walking in the totally opposite direction that I wanted. I'd been following trail markers but the markers simply said "Trail" and had an arrow. They didn't say which trail I was on. I turned around and headed back up to the top of Topa Topa and looked around. I saw where I should have gone but decided that I would just go down the way I'd come up. The way down was really tough on the ol' knees. It didn't help that the trail was covered in loose rock resulting in me doing the splits at least once - Ouch x 10! I got back down to the road and made my way back to trail 21W08. Over the next 5.8 miles I picked up eight more geocaches. One of those was a First-To-Find called "Left Up in the Woods to Die" hidden in the White Ledge Campground. The last mile and a half was cache-less and I really pushed myself to get back to the car. There was a cache at the trailhead but I didn't have any luck finding it. I stopped my search when some hikers showed up. The hike was 15.3 miles (That's 0.06 longer than my last personal best - I know you like this precision, MoH) and there was 4,581 feet of vertical. A personal best for both length and vertical. I was on the trail for 11.5 hours. I'm really glad I got there early so I had the time I needed to find the caches and enjoy the hike. Unfortunately I was so tired on the way down that I forgot to stop and take a good picture of Topa Topa Ridge lit by the sun. Other pictures can be found here. I'm finishing this post on Saturday and my legs, especially my calves, are still yelling. It'll probably take me a few days to totally recover. It was well worth it. I really enjoyed pushing myself and I am proud to say that I have not reached my limits yet. I am now more confident that I will be able to do the Pilgrimage of Saint James in 2010. The hardest day of the pilgrimage is the first day when you cross the Pyrenees. That crossing is roughly equivalent to the Topa Topa Hike. I now know that I can do it. I'm still recovering from my hike yesterday so I will only post a short but happy one. The Wife received two ... count them: one, TWO job offers. WOO HOO! Now, they really aren't the Wife's first choices but they'll do until she can find the dream job. Keep the good thoughts and prayers coming. I'm hiking today so I figured I'd use Bloggers new post scheduling feature (Finally!) to give you, my readers, something to occupy your time. Here goes. Anyone who grew up with Nickelodeon may remember the mis-adventures of Prometheus and Bob. (I was an adult when I started watching Nickelodeon ... What!?!) I found a fan site with nearly all of the two minute clamation skits. Very funny stuff. Check'em out! Last Wednesday night, Homer began scratching. By Thursday night he had scratched/bit/licked himself bloody on several parts of his body. He was miserable, the poor guy. That is why we took him to the vet on Friday. The vets diagnosis was allergies. He is now on steroids and antihistamines. The meds are definitely working but I'm guessing the antihistamines are not the non-drowsy type. Homer has been sleeping even more than usual and when he is awake he looks totally stoned. I guess it's better to be stoned than bloody itchy. The vet thinks he will have less allergy problems in Omaha. I'm not sure I would agree but I hope he's right. We keep telling Homer that he'll soon be a mean Nebraska farm dog but he just stares off into space. There are a bunch of new experiences awaiting Homer - Thunderstorms (not good), Snow (Possibly funny until he needs to poop when it's below freezing), being able to see people (The yard has a chain link fence instead of the wooden privacy fence we has here so Homer can actually see out), and don't forget playing with Spud and the Spudettes (Total Chaos). It's going to be fun. Sunday we watched "The Diving Bell and the Butterfly". The French movie is the true story of a man who, after suffering a stroke, is completely paralyzed except for his left eye. The speech therapist working with him comes up with a system where she says the alphabet and he blinks when she reaches the correct letter. Using this method he dictates the story of his ordeal. When the movie was over, all I could think was: "Why didn't they teach him Morse Code?" So, once the docent unlocks the gate, you have to drive about a half mile to the base of the rock where the lightstation is located. The road passes through private ranch land. As most ranch land does, there are cows. We were the first car and as I went up the road I saw a cow about two feet from the edge of the narrow road. I slowed down as I approached (The Wife will say that I was still going too fast - I wasn't :-p). When the cow was about even with the driver's side window, it turned tail and ran/bucked/kicked away looking like it was being chased and was trying it's best to kick the chaser's skull in. As we drove on, I noticed that the cow then turned around and came back to the road. We reached the base and parked the car. By this time the next car was approaching the cow. Sure enough, the car slowed down and then the cow ran/bucked/kicked away from that car just to return to the road when that car had passed. It probably did it four times in a row. The question is: Do cows have senses of humor? Did this particular cow choose dare in a game of 'Truth or Dare'? Was it just a glutton of punishment? Was it just a stupid cow? The story ends on the way out. The herd of cows, all identical -brown with a white stripe on the head, neck, and back (Looked liked they were clones) - were gathered further down the pasture near highway 1. A photographer had his camera on a tripod taking their picture. Then a loud motorcycle went by and, as one, they all ran/bucked/kicked across the pasture. It was very funny to us in a you-had-to-be-there sort of way. On Saturday we were joined by the "J" on, possibly, our last California roadtrip. It will certainly be the last long California roadtrip. 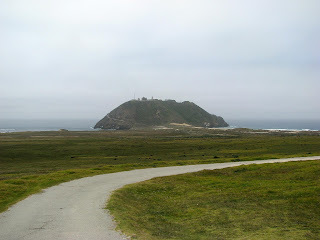 For our last long roadtrip we chose the Point Sur Lightstation to be our destination. The "J" joined us at 7:00 am and we went out for breakfast at one of our favorite places, Mrs Olsen's Coffee Hut. The place has good food, large portions, good service, and a nice homey atmosphere. We decided by eating a filling Mrs Olsen's breakfast we wouldn't have to worry about lunch and it worked just as we planned. We left Mrs. Olsen's at 8:00 and headed north. 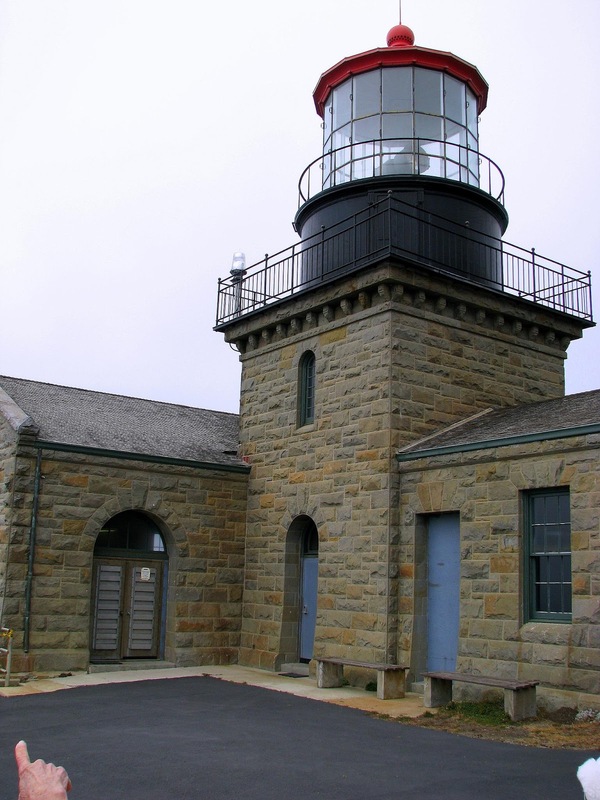 The Light Station holds tours at 2:00 pm on Saturdays. Reservations are not taken so it's first come first served. The drive was a little over four and a half hours so I figured we'd have plenty of time. The drive was full of our usual witty conversation. Somewhere before Santa Maria we started collecting witty phrases which will someday be the song titles of our first album. I think this may need a whole post by itself. We decided to stop at Harmony on the way up to visit the Pottery store. I confirmed that the post office is now closed. While the Wife and "J" shopped, I took some more pictures. It seems I can always find something interesting to photograph in this tiny town. 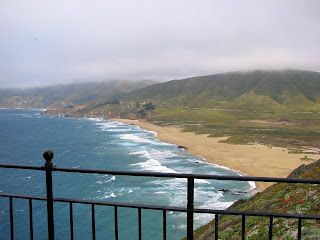 I added the pictures to my 2006-2011 Harmony, CA Google Photos album. North of Harmony, past Cambria, San Simeon, and the elephant seal viewing area, highway 1 starts snaking along the coast. There really isn't any way to drive this stretch fast and, frankly, why would you want to. 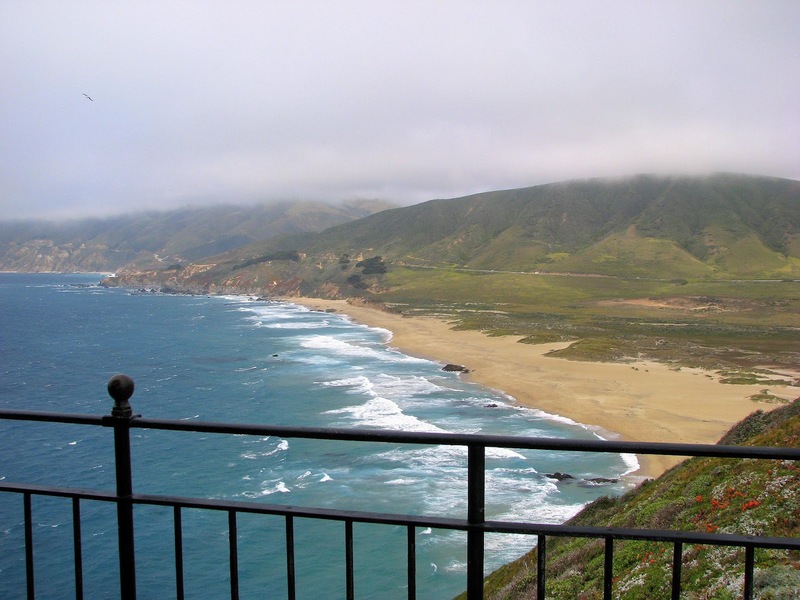 The stretch of the Pacific Coast Highway from San Simeon to Carmel is one of the most beautiful drives in the lower 48. I've driven it or part of it on four occasions and each time I am awed my how magnificent the mountains, sea cliffs, and the pacific ocean are. On our first drive down this serpentine way when we visited Salinas, we saw the Point Sur Lightstation and we stopped at the nearby Big Sur visitor's center to see if there were tours. Unfortunately the tour times were limited and we'd missed the last one for the day. It took only five years to find a way to get back to the lightstation. We arrived an hour and fifteen minutes before the tour. We waited a little bit and other cars pulled up then drove away. We left and went to a nearby campground to use the facilities. We returned to the gate and waited. It was really windy and it felt quite cold though I expect it was up in the 50s. Fortunately we'd all dressed warm. The docent arrived right on time and opened the gate for us. The entry road passes through private ranch land. We all drove in and parked at the base of the morrow (i.e. rounded hill). I never counted how many people were on the tour but they limited the groups to under 40. There were probably 6 or 7 cars with each car having 3 or 4 people each. The people included Indians and Russians on vacation. At the base of the rock we were joined by a second docent who would tell us the history of the lightstation on the way up. The wind, that was hard near the gate, was really whipping at the base of the rock. The docent explained that this was a result of the Bernoulli Principle. The wind blowing around the rock speeds up while the pressure drops, similar to what happens to an airplane wing. We would experience a much more impressive demonstration of the Bernoulli Principle when we went out on the light house catwalk but I get ahead of myself. The road up the side of the morrow is about a half mile and climbs some 360 ft. As we walked up the road we would hit areas of low wind and the docent would stop and explain the history of the lightstation. The station was built in 1889. She was a very ... talkative person many of the group wanted her to just be quiet so we could get to the top but, as we listened to her, it turned out that she was telling a lot of interesting stories. I'm glad she shared all these stories of construction, engineering, fights over land and water, and ship wreaks off the coast of Point Sur, but many of these stories could have been told in the warm comfort of one of the buildings. We finally reached the top, the first stop being the lighthouse itself. 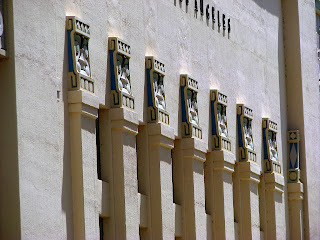 It is an attractive building that is still used today by the coast guard. We entered a room with displays of Fresnel lenses and foghorns. One display showed safety equipment. The docent mentioned that she wasn't sure why a cane was included in the safety equipment. I looked at it for a minute and realized that it was not there for it's original, body supporting purpose. It was to be used as a hook. If a worker touches high voltage, he may not be able to let go. A rescuer would use the cane to hook the victim and pull him free of the electrified equipment, hopefully sparing the victim and rescuer from electrocution. I explained this to the docent. I guess my stint working for the Navy and all the safety briefings helped. After the displays we were taken up the spiral staircase up to the top of the tower. The deck above out head was studded with prisms that collected light from above and directed it below to light the room. The docent then let us out on the catwalk (the square one in the photo above). That's when the real lesson in the Bernoulli principle happened. I was one of the first out. The wind outside the door wasn't too bad. Maybe gusting to 30 or 40 MPH. As I walked counterclockwise around the light, the wind became stronger and stronger. It strengthened to the point that I almost turned around and headed back. I took a picture of the coastline and then crept a little further around. I couldn't decide if I should be near the edge holding the railing or if I should be hugging the light. As I inched around I could feel my feet slipping on the metal surface. It was hard to take a breath. I'm not an expert, and the docent didn't know either, but I would guess that the peak wind speed was Hurricane strength (70 - 80 MPH). I looked behind me and saw the Wife. Her wide eyed expression said it all. As I continued around, the wind diminished. I looked at the other tour people and warned them about the wind "in that corner." This, of course, made everyone go to that corner. Everyone came back wide eyed and smiling ear to ear. It was totally cool. The "J" didn't make it all the way to the corner before she decided to turn back. If all this tour was was to experience the wind at that one corner, it would be worth the 4 1/2 hour drive and the $8 admission. It was a hoot just to see the people's faces and their windblown hair. The rest of the tour took us through the other buildings on the morrow. These included the fully restored workshop/smithy, the barn, and the head lightstation tender's home. The most impressive building was one that we could not go in. The Triplex was the home of the three subordinate lightkeepers and their families. Unfortunately the inside was not safe (someone put their foot through the floor recently) and we could not go in. Here are some pictures. We did some shopping at the gift shop and looked some displays at the visitor's center. There is a video about the USS Macon which crashed off the coast of Point Sur, ending the era of the Naval rigid airship. One of the docents shared a 1930s year book with the Wife. The small school at the station had 6 students and the yearbook was all hand lettered by the students and illustrated with photographs. The third grader's handwriting was better than the Wife's high school student's. We walked around admiring the sights from the top of the morrow. The weather wasn't the best but I have a feeling this was the typical weather for the families that kept the light burning. You could see the now decommissioned Point Sur Naval Station nearby. There is still one active building that is probably collecting data from sonar arrays off the coast. We all walked back down to our cars. The tour was a full three hours. Well worth the time and all the driving. We stopped in Cambria for dinner before making he long drive back home. It was a long day (15 hours - almost 11 of those driving). Our next long roadtrip will be in Nebraska. After sitting by the phone for the last three days waiting for good news and receiving only mediocre "it's not bad but it's not good either" news, I decided I needed to get out of the house. I pondered the question: "Where shall I go?". I decided to pull up Google Maps, center the map on Ventura, and slowly widen the view until something caught my eye. 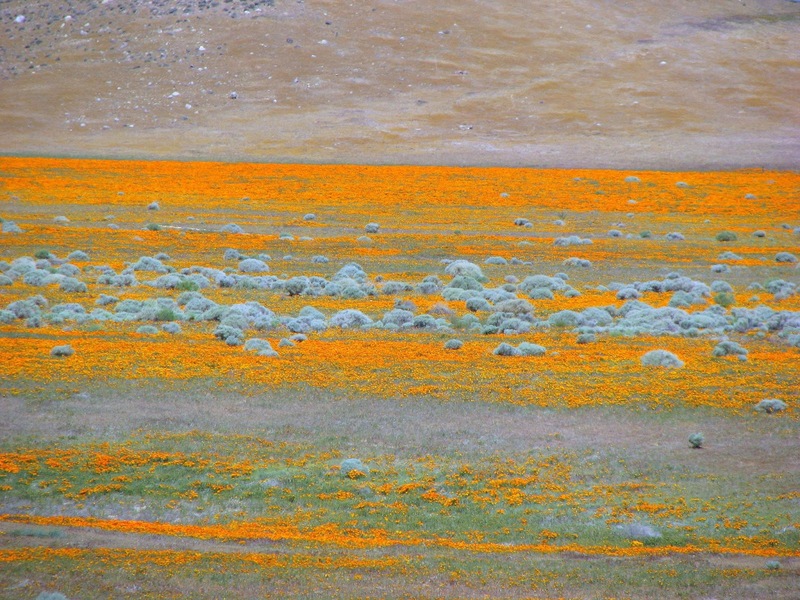 I ended up seeing the Antelope Valley Poppy Reserve. I'd wanted to go here in the past but, for one reason or other, I have never made it. I knew that it was really late in the wildflower season so I'd probably missed the best displays of nature's colors, but I decided to go out there anyway. The drive out there was interesting taking me on Highway 126 and then over to San Francisquito Canyon Road. This last road is twisty turny and fun to drive. I noticed a few interesting things on the way out and I made plans to stop on the way back. I reached the poppy reserve before 11:00 am and picked up a brochure with a trail map. I had limited time since I had to be back for Homer's veterinary appointment at 3:15 pm. There are miles of trails in the reserve. I chose a short, 1.8 mile loop since I had planned this trip on such a short notice that I didn't have any water with me (tsk, tsk). The trail starts off going north then loops around to the west before returning to the visitor's center. As I walked the well maintained and easy trail, the landscape reminded me of the prairie that I will be heading to soon (I hope). The Nebraska prairie won't have poppies but I'm sure there will be other spring wildflowers. The day was perfect though a little warm. A breeze kept you cool and the only thing making noise was that wind, birds, buzzing grasshoppers and ground wasps, and the scurrying lizards. You could also see ants, black beetles, and the occasional caterpillar. It was too late in the day, and there were too many people, to see larger animals. Pictures of the flowers and critters are here. I returned to the visitor's center after about an hour and headed for the car. A elderly lady sitting in a car called me over ("Hey young man" - much better than "Sir") and asked me about my Tilley hat. She thought it was a very nice hat for the dessert. 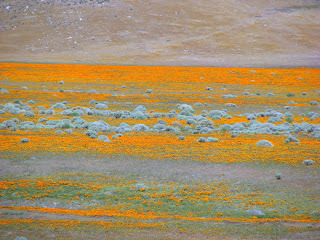 I thanked her and told her the poppies were very beautiful. We chatted about the hat, poppies, and the dry weather before saying our goodbyes. It was getting close to noon so I decided to stop for lunch. Usually when I'm roadtripping alone, I tend to stop at a fast food joint (usually Subway) but this time I decided to live a little dangerously and stop at a cafe. I'd seen a sign for a cafe in the town of Green Valley (population one thousand, two hundred, and change) and decided that would be my destination. I reached Green Valley and turned onto Spunky Canyon Road. Any place on a road named Spunky Canyon can't be too bad. I arrive at the Green Valley Cafe (which shares a building with the Green Valley Grocery Store and the only filling station in the small town) and went in. The decor ... well there wasn't much decor. It looked like a place that shared it's building with the grocery store and the gas station. It was clean enough and the waitress, the only waitress, seemed friendly enough. I sat at a booth and listened to "Hotel California" playing from the CD Player/Radio/Boom Box sitting on a table on one side of the cafe and looked through the menu. There was the typical cafe selection of food. After hearing another patron order breakfast, I decided a second breakfast sounded good. I ordered the Ham Steak and Eggs, Hash Browns, and Toast. Then the wait started. It turns out the music was a CD of the Eagles greatest hits and I heard most of the songs by the time the food had arrived. OK, I exaggerate but it did take a good 30 minutes. I forgot how dull it can be waiting at a restaurant without someone to talk to. Usually the Wife is with me and we pass the time talking. Today I just listened to all the locals come in and say high to each other. The food. The ham steak was large (10 oz) but it was a little dry. The eggs, I ordered scrambled, were over easy. I didn't complain about the eggs because I wanted to go home today and couldn't afford to wait another 30 minutes. The hash browns and toast were pretty good. I ended up not finishing all my food as it was a pretty filling meal that I am still feeling. Not sure I can recommend the Green Valley Cafe. It was OK. It was good enough I guess. On the way home I stopped at the second place that I'd seen on the way up. 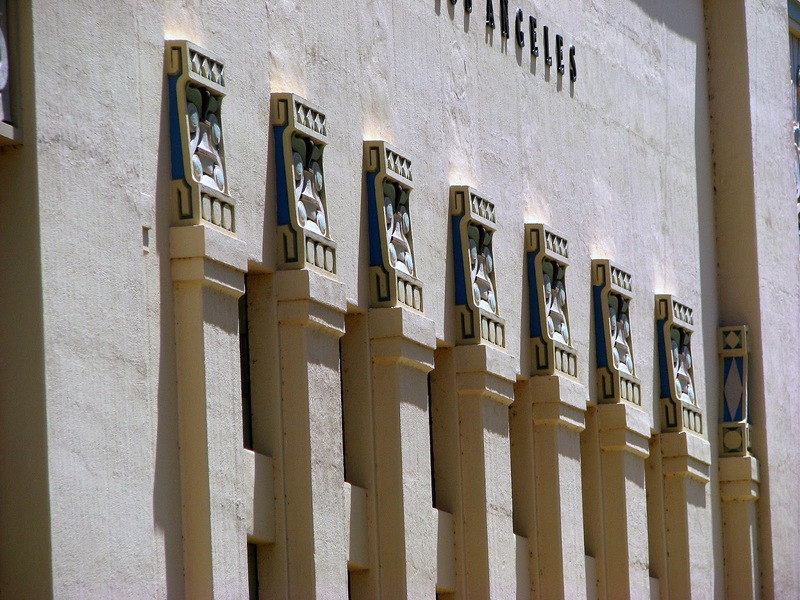 I'd seen a cool old building which turned out to be an hydroelectric power station for the Saint Francis Dam. I parked on the side of the road and took some pictures through the fence. I like cool old buildings. Even out in the middle of nowhere, they tried to make the building interesting. There was a plaque talking about a dam break that killed over 450 people in 1928. I took some pictures. I returned home in time to take homer to the vet. A nice day out of the house. PS: No messages on the machine ... darn it. I have to be patient. I probably should clarify the last post. I was not in the mood for many words and I think it may have been misinterpreted. The buyer's lender pulled a fast one and increased the number of points. The buyer was not happy with this so he went to another lender. Since it takes time to qualify and stuff, this will delay the process probably til next week. So, they still want to buy the house and they are trying their best to get financing in place so ... until then it's wait, wait, wait. And then wait some more. It's the waiting that's driving us bonkers. This , of course, has sucked the Wife and I back into the doldrums. It wouldn't be so bad if we has a second offer on the table but we don't. Keep the good thoughts, good juju, good luck, and prayers coming. Tomorrow the Wife, the "J", and I are going on a roadtrip to the Point Sur Lighthouse. Hopefully this will be a nice distraction from our woes, real and imaginary.